Waistcoat arrived and fits like the proverbial glove. As with my previous transactions your service..
My husband did not even try on the 48L, as the 46 fitted perfectly, he was also very pleased with it.. 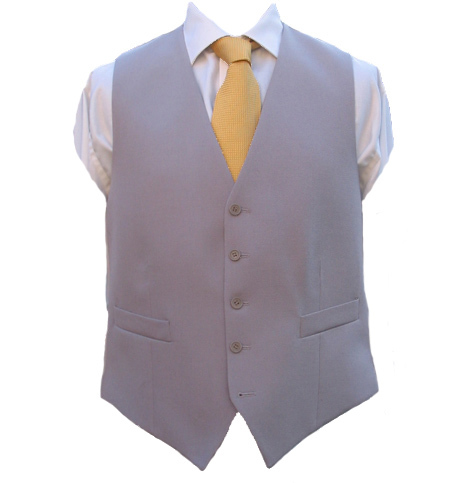 I would like to thank you for your quick response sending me item Dove grey waistcoat. My husband i.. Thank you so much for the incredibly prompt exchange of the waistcoat and trousers which arrived tod.. Fits perfectly, great quality and nice feeling wool. No issues whatsoever, very happy. Dear Sir, Thank you very much. We are delighted with the larger size waiscoat, the service from you.. Fits perfectly, great quality and nice feeling wool. No issu ..